Real Madrid have renewed their interest in Liverpool’s Sadio Mane, according to report today. Zinedine Zidane returned to the hot seat at Madrid last week and has been assured of a substantial transfer war chest for the summer, with up to £300million reportedly available. Unsurprisingly, Zidane and Real have now been linked with a move for Sadio Mane, who scored once again against Fulham on Sunday. His goal at Craven Cottage came on the back of an impressive brace against Bayern Munich in the Champions League last week. 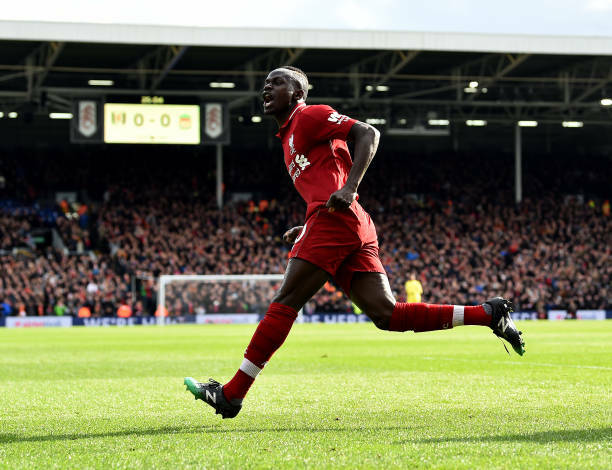 The Senegalese forward now has 17 goals this season and appears to have jumped ahead of Mohamed Salah to become Liverpool’s most important player for this campaign. Mane cost the Reds £34million when he joined in 2016, and any bid from Real would have to be significantly higher to even register on Liverpool’s radar. However, it’s highly unlikely Jurgen Klopp or the Liverpool hierarchy would even entertain offers for Mane, who has been a huge success since his arrival at Anfield.